What to do in Galicia from 23rd to 29th July? In last week’s agenda we told you that the Festividade do Apóstolo Santiago and the Festa da Dorna started and you still have time to attend both since they haven’t finished yet. Tuesday 24 and Wednesday 25, Galicia’s day, are the greatest days in Santiago. Besides that, you can still enjoy the extraordinary and fun Festa da Dorna until tomorrow. Now, let’s focus on the parties that start this week. 27 to 29 – Sedes (Santo Estevo), Narón, A Coruña. The twentieth edition of the Oenach Atlántico is held in Narón. In this event, the Castro culture and its lifestyle is recovered. 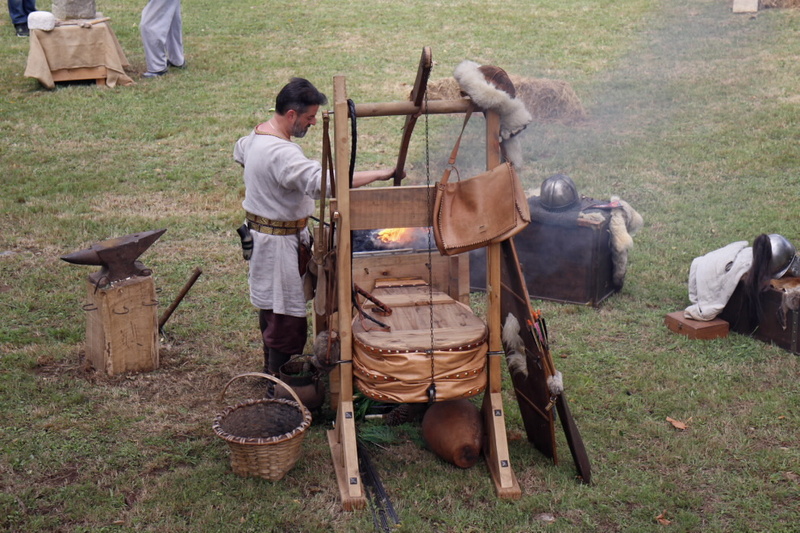 A village is recreated where leather and wood are used, clay utensils and bread are made, among many other activities. 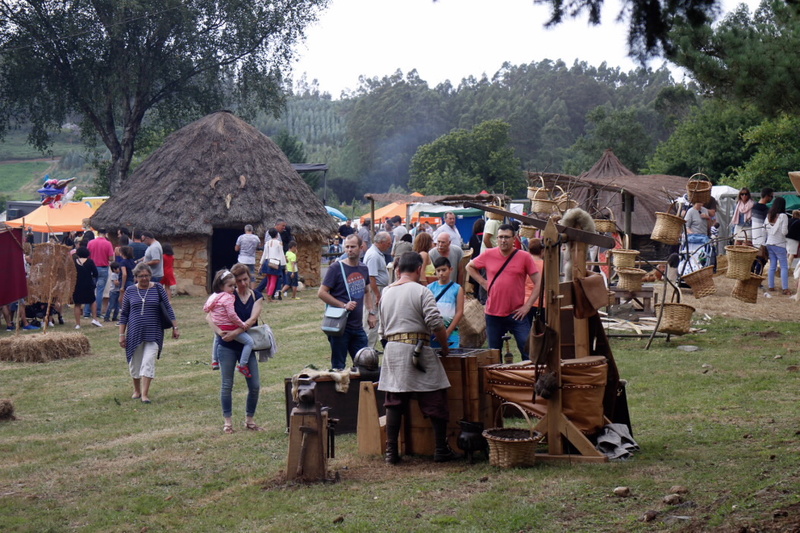 There is also a musical show, rural games and a Galician handicraft fair. Regarding gastronomy, you can find a variety of dishes such as Celtic pork with spicy sauce or Mos’ hen. Don’t miss them! 27 to 29 – Saiáns (San Salvador), Santa Lucía de Moraña, Pontevedra. 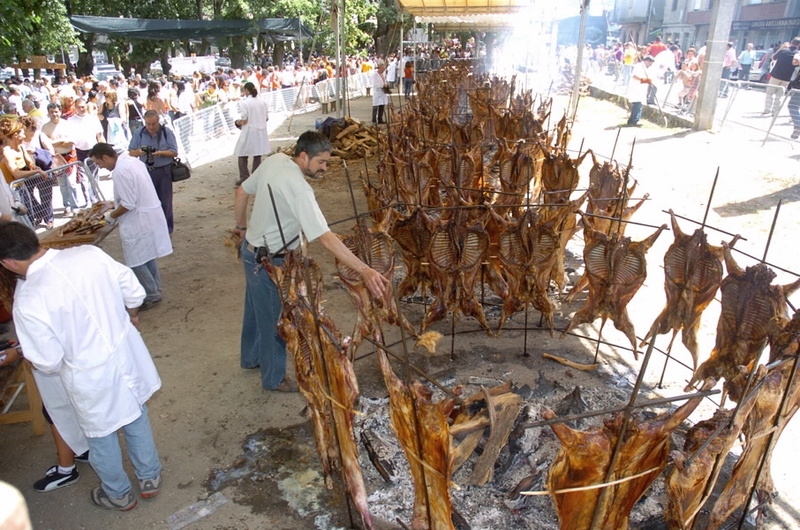 In the Festa do Carneiro ao espeto we can find a folk festival, sports activities, foot race, bicycle party, football and tennis tournament, etc, but the main attraction of this party is gastronomic. The rams are roasted with fire and firewood. If you are planning to come with your family and friends, you can book a package that includes food for 20 people, but if this is too much, you can also enjoy a portion of Carneiro ao Espeto in the restaurants close by. Enjoy the party! And stay tuned to our weekly schedules so you don’t miss a single event.